In my last post, I said I was going to review some folktales to see if any conventions of the “three act structure,” used in contemporary fiction and cinema, apply. Lest I be accused of hubris, I did not say I was going to be systematic about this. My qualifications are simply a lifetime of love for this stuff. Here are a few random observations. The first thing I noticed – and I should have expected this – was the apples and oranges nature of my comparison between long fiction and short, between modern novels and screenplays and the kinds of tales you find in Grimm and other folklore collections. Some longer epics do mesh with the three act structure. In Homer’s Iliad, plot point #1 is Paris taking Helen to Troy, and plot point #2 is the Trojans wheeling the horse into the city – this is how the 2004 movie, Troy, is structured too. It seems the three act structure only really fits longer fiction. 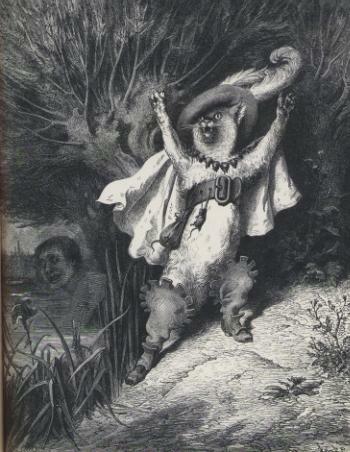 This leads to the question of whether the concepts apply to short fiction at all and to folktales in particular. Every one of the folktales I reviewed has what Syd Fields called, an “inciting incident,” an event or situation that sets the action in motion. The king is sick, the princess is missing, a dragon is loose on the land. Often this is right where the tale begins, without any other preamble. In terms of the major plot points, most of the folktales I looked at only have one. Some have two and a few do not have any. Are there any plot points, in the sense of a major crossroad, in the tale of Red Riding Hood? Not really. The unfortunate girl obeys her mother – “Take this basket to grandmother” – and events roll on to their unfortunate conclusion. Cinderella has a single plot point. The fairy godmother asks, “Do you want to go to the ball?” When Cinderella says yes, her happy fate unrolls like destiny. Another common folktale set up has just one decision point: three brothers or three sisters set off on quest. Each of them meets an “insignificant” or repellant creature as they set out. The older siblings are arrogant and come to an unfortunate end. The younger sibling behaves with respect, and the creature’s advice and boons are key to fulfilling the quest and often finding love and riches as well. A Grimm’s fairytale, “The Water of Life,” is a good example. The king is sick and only the water of life will heal him. Two brothers set out, but disparage an “ugly little dwarf” who offers advice. They wind up stuck – literally – in a mountain pass. The youngest brother, who is open to help, receives it in abundance, both for the immediate quest and in overcoming the treachery of his brothers later on. Although the action is rather complex, the only real decision the brothers face is whether or not to befriend the little man at the side of the road. That choice determines their fate. A story like this seems so modern in it’s emphasis on trusting oneself and following dreams, it may be surprising to know that Rumi recorded the first version 900 years ago. In other variations, the poor man travels to Baghdad, Jerusalem, or Krakow. Still, in conforming (sort of) to the three act structure, “The Pedlar of Swaffham” is the exception and not the rule. Every story has a beginning, middle, and end. How long the sections are and how we move between them is the province of structure. If you’ve ever heard a good storyteller, you’ve seen them adjust the pacing to match the mood of the audience. You’ve seen gesture, expression, and silence used to enhance the tale in ways a written transcription can never capture. It’s easier to gain an intuitive sense of how to tell a story aloud than to write one, and easier to structure a short story than a novel or screenplay. Some people may gain a sense of how to structure a novel by reading them, but for the rest of us, constructions like the three act structure form a useful skeleton to build a story. It isn’t the secret of what makes a novel or movie compelling, but I find it a useful bridge to that destination. 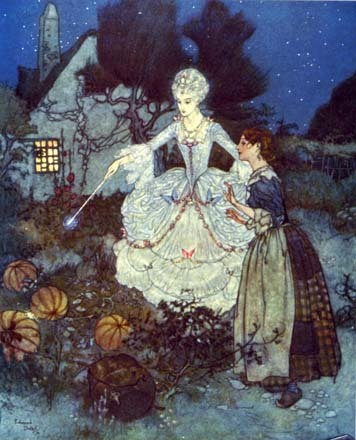 In a similar way, structure alone does not explain the magic in my favorite folktales. For that I will have to slow down and consider each one more closely. And there is a topic for more than one future post! This entry was posted in Movies, Myth, Novels, oral tradition, Screenwriting, Stories, Writing and tagged fiction, folklore, movies, Myth, plots, screenwriting, short stories, storytelling, writing. Bookmark the permalink. For many folktalkes and short stories, the first plot point comes so early that it’s easy to ignore. 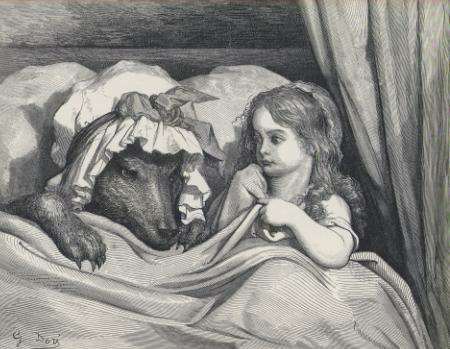 For Red Riding Hood, the entire setup and the first plot point can come in one sentence: your grandmother is sick, you’re going to take this basket to her. All of the setup is given in that one line because the exact setting really doesn’t matter. It could be a 1700’s setting like many of us imagine it, or it could be present day, or it could be a futuristic science fiction setting, for this story any of those would work. All that matters is that Red Riding Hood is leaving a safe situation (at home with her mother) to go on a journey, which is plot point one in many stories. This is essentially the same plot point #1 that you see in The Lord of the Rings (leaving the safety of the Shire), the only difference being that LotR requires a lot more setup because there are deeper characters and the setting is more important to the overall story. That’s certainly a valid way to look at Red Riding Hood. I’m not sure I agree fully, but I also don’t want to get stuck wrangling about trying to fit our modern terminology onto folktales. I’ve never spent much time reading fairy tales and only know the most common ones. I think I need to spend more time with fairy tales. The ones you related here make me want more. 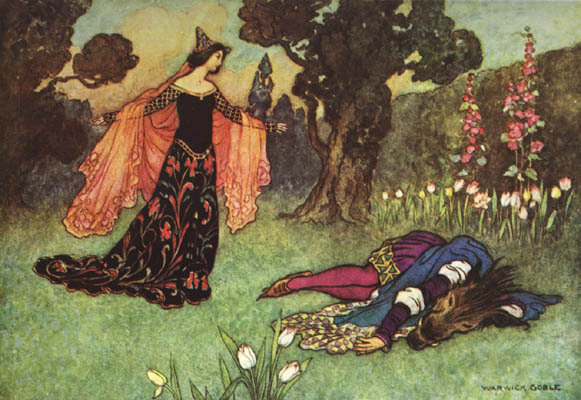 As an adult, I got into fairytales and myth again via Jung, Hillman, and Joseph Campbell. As I was pulling down books for this post, I spotted my copy of The Writer’s Journey, a discussion of literary structure in terms of Campbell’s study of the hero myth. I bought the book several years ago and it slipped my mind, but now I think I’ll have to take a look. I used to teach Campbell’s hero cycle. It exists in almost all good literature and film. Once you know it, you see it all the time. Campbell lived next to George Lucas in Marin county, and they became good friends. All of Lucas’s films are based on Campbell’s hero cycle. I used Willow, although I could have easily used several others, to teach the cycle to the kids. They loved it and they learned. It was one of my favorite units to teach. I came to this because I had a notion that folktales don’t fit the modern story scheme— reading them is such a weird trip, they are so unlike anything that would get published today (without restructuring, as many of them are for modern audiences). The thing that compels me to comment might be taken as a case in point: the two plot elements you refer to as being the turning points of the Iliad weren’t in the Iliad. Paris took Helen to Troy ten years before the Iliad began and the whole Trojan horse thing happened after the Iliad ended. These things might have happened in the movie “Troy,” but they didn’t happen in the Iliad. Nevertheless, the Iliad is pretty modern in structure, as a story about the events leading up to and after the death of Achilles. Part of why we like and teach the Iliad, the Odyssey, Gilgamesh and Enkidu, etc., is because they’re familiar to us, the way we in modern times like to hear stories. But they weren’t always the most popular in the ancient world: the Firebird was much more popular in ancient Babylon than Gilgamesh, and that was a weird little story with hard-to-understand motivations. I have books of folktales from around the world, and for some reason, the Irish folktales are presented more literally, with colloquialisms and such. They’re also the least “story-like” in terms of modern plot structure. Like,”Down by the bog yonder there’s a funny little man who will knock ye down an’ kick ya in th’ ear if yer not careful. That’s why they call it the Bog of Ol’ Knock-ye-down-an-kick-ye-in-the-ear.” End of story. The next would be a travelogue with no logical connection among the strange islands Maeldune visits. In others, the plot-motivator, like Finn McCool’s best friend betraying him and running off with his bride, would be simply because “she put him under geatta” (some sort of oath one person can make another obey: not magical as far as I can tell). It emphatically isn’t because Finn’s friend was entranced by her beauty: he remains loyal to Finn. The same kind of geatta forces another mythological hero to stop and eat food from any boiling pot and to never eat dog meat. So of course his enemies cook dog meat in a pot. He self-destructs. I don’t dislike these stories. On the contrary, I like how perplexing they are. But I also think it goes to show how the modern story structure is an invention, both in what we write and what we expect and enjoy.